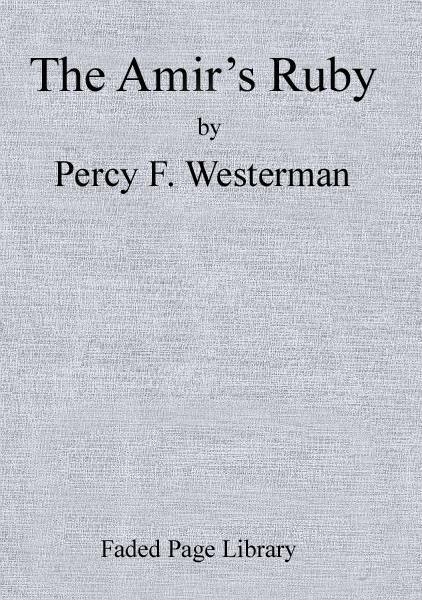 Percy Francis Westerman (1876 – 22 February 1959) was a prolific author of children's literature, many of his books adventures with military and naval themes. His writing career allegedly began with a sixpence bet made with his wife that he could write a better story than the one he was reading to his son, who was at the time ill with chickenpox. His first book for boys, A Lad of Grit, was published by Blackie and Son Limited in 1908. 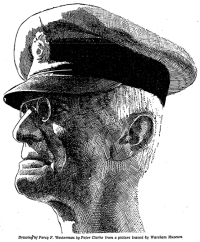 In the same year, Baden-Powell founded the Scouting movement, which strongly influenced many of Westerman's books – he was a particularly keen supporter of the Sea Scouts. He published a further three books in 1911, which were so successful that he gave up his Admiralty appointment that year to become a full-time author. He lived on board a houseboat – a converted Thames barge – on the River Frome at Wareham in Dorset, where he wrote the majority of his books. An early book, The Flying Submarine (published in 1912) may indicate Westerman's genre. This boys' adventure novel was about a mysterious man from a South American country. He was an inventor, who had discovered a new kind of lighter-than-air gas that he called “helia”, which was much lighter than helium or hydrogen. He used helia in many inventions, including back-packs that could help a man float in the air or fly upwards, and in the remarkable titular submarine that could, when enough helia was used, fly! Eventually he used his flying submarine to win a war between his South American country and its belligerent neighbour. It is highly likely that Westerman derived the idea for this super-weapon from Jules Verne's Terror, the speedboat, submarine, automobile, or aircraft superweapon invented by Verne's arch-hero Robur in Master of the World and The Clipper of the Clouds. Similarly Westerman's South American conflict reflects the wars between Paraguay and Uruguay. During the First World War, he was initially employed on coastal duties by the Royal Navy, but in 1918 he was commissioned, like W. E. Johns, in the Royal Flying Corps, as an instructor of navigation. During the Second World War he commanded the Arne platoon of the 7th Dorset Home Guard battalion (Wareham) from June 1940 until 26/12/1942. He wrote to Blackie of his service in the two wars that "neither appointment seriously interfered with my literary output." During the 1930s Westerman was voted the most popular author of stories for boys. His books sold over one and a half million copies in his lifetime (total sales at his death were 1,599,000). He published at least 174 books, with 12 different firms. Epub 20130841.epub If you cannot open a .mobi file on your mobile device, please use .epub with an appropriate eReader. Mobi/Kindle 20130841.mobi Not all Kindles or Kindle apps open all .mobi files.